A powerful Melbourne crime family. A teenage protected witness. The killing of two policemen. Terror. Violence. Loyalty. On a cool spring morning two policemen were lured into a leafy street in Melbourne, Australia and gunned down. Police investigators pulled out all stops to find the killers, for an astounding two and a half years. Then the men they found were acquitted. The police's case against the two brothers and two friends of their family had fallen apart. The accused were free to leave the court. 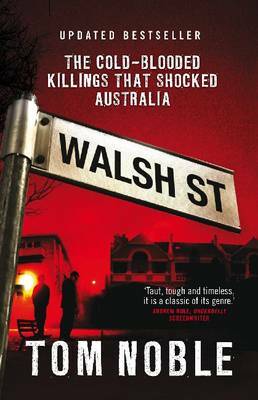 In Walsh Street, Australia's most famous criminal family comes to life: Kath Pettingill, the fierce matriarch; her eldest son, Dennis, drug dealer and killer; her daughter, Vicki, a protected police witness; her youngest, Trevor, and her other son Victor Peirce, two of the four men charged with the murders; and her grandson Jason-harassed by Kath's dogs and the family's enemies alike. Includes a new foreword from the author with updates on all the major players. "As compelling as it is frightening." --"Sunday Age"
"The effect is like watching a well-scripted, intensely visual TV documentary." --"Australian"